Successfully Added Wireless Control Alarm System for Homes, Offices, Businesses (100 Wireless + 6 Wired Connections) to your Shopping Cart. Merge up to 6 wired and 100 wireless zone alarm devices into one with this Wireless Control Alarm System for Homes, Offices, and Businesses. Conveniently integrate all of your alarm systems together so you can stay safer, easier. Versatile programming allows you to program up to 6 standard wired alarm zones (garage, back door, bedroom, etc.) along with 100 wireless zone zone alarms (panic button, PIR motion detector, smoke detector, gas detector, door detector, glass break detector, remote control, etc). Never before has an alarm system been so advanced that you only need ONE device. 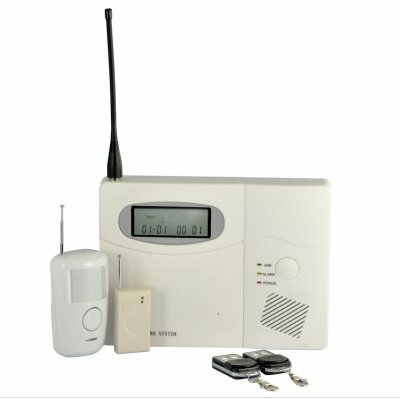 This Wireless Control Alarm System is not only great for your home and office, but the huge wireless connection capacity makes it perfect for large businesses and institutions, like schools, banks, stores, warehouses, supermarkets, etc. 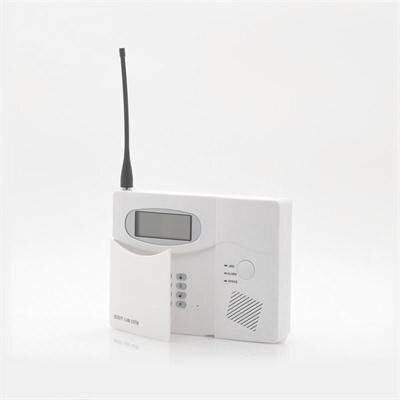 For added protection, this Wireless Control Alarm System lets you program up to 6 different mobile phone numbers inside and will instantly alert you when an alarm is set off. If you have it connected to a landline connection as well (telephone cable included), full control of the alarm system can be gained by calling the number that the alarm system is hooked up to! This deluxe edition wireless alarm system also includes many other special features, such as a free PIR motion sensor, door sensor, automatic timed alarm arming/disarming, and 2 wireless remote controls. Get a good night's sleep with this Wireless Control Alarm System. Like always, Chinavasion offers full QC testing before shipment and direct shipping right to your door. Order today and we'll ship this product out to you tomorrow!